As I’ve continued to delve this summer into the crucial topic of The High Cost of HyperCompetence & Its Cure, I’ve noticed a startling pattern. So many of us who struggle with the costs of HyperCompetence seem to have a narcissist (usually one not-diagnosed-by-a mental-health-professional) in our immediate circle – most often a business partner, colleague, spouse, sibling, or parent. A narcissist is a person with excessive interest in him/herself. A narcissist craves and feels entitled to admiration, expecting others to share his/her fascination with his/her life. S/he has a compulsive need to see everything only in relation to her/himself. The narcissist’s self-focus takes away from his/her ability to demonstrate awareness of your needs – to relate, empathize, or sympathize. Narcissists cannot hear your valuable and valid experience; they hear only how your experience affects them. Perhaps ironically, when a narcissist purposely or inadvertently hurts you, s/he blames you rather than acknowledging any way s/he may be responsible. 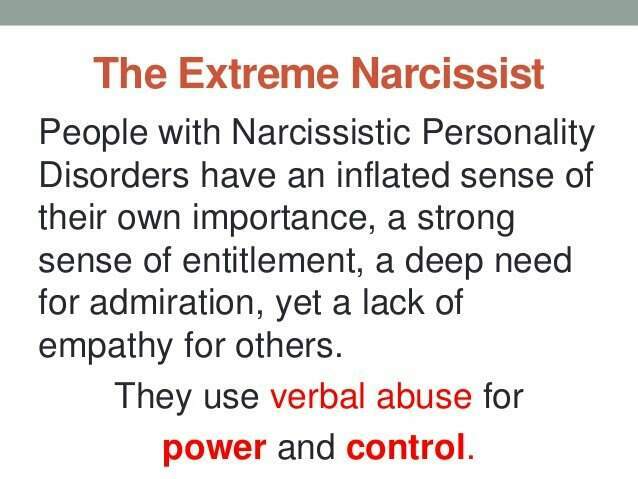 The narcissist can be tremendously gifted or successful in one or many aspects of life while simultaneously dramatically underachieving in one or several others. 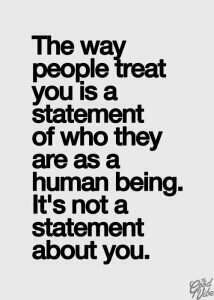 Bottom line, a narcissist takes from you more than s/he gives. Does this description match anyone central in your life or work? If so, it’s likely you are in a resulting morass. You may have developed a tendency to become crazy-busy as you try consciously or unconsciously to make up for your narcissist’s behaviors and deficiencies. 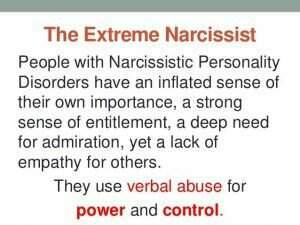 You may even have unwittingly developed Narcissistic Victim Syndrome. Living or working with a narcissist, without holding strong, healthy boundaries, puts us in danger. We risk giving all of ourselves away— our gifts, our talents, our time, our hopes. As we do, we become overwhelmed and then fundamentally depleted. I see too many well-meaning, HyperCompetent women tolerating and even unconsciously enabling their narcissists’ behavior. They think, “I’m powering through it! I’m fixing it and then it will all be over!” They are sadly wrong. 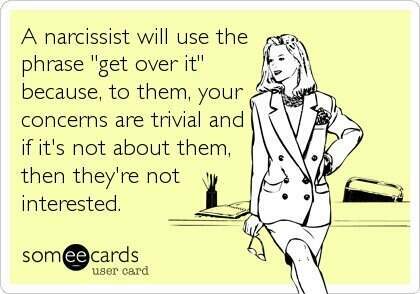 Overcompensation for the narcissist does not end by itself. It ends only when we deliberately end it. And if we fail to take sufficient care of ourselves along the way, we can experience a sort of long, slow, painful death, of our motivation, inspiration, and passion. The world needs us to be safe and healthy. The world needs us to experience joy. The world needs us to live into our brilliance. All so we can serve in the way we are meant to, in a way that feeds us, not drains us. 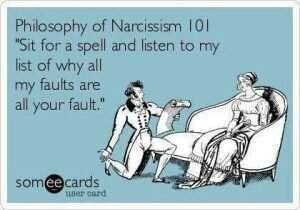 Narcissists are incredibly skilled at convincing you that their weaknesses are somehow your fault. They are blamers. They are criticizers. They are name callers. Narcissists need professional support, yet they’re unlikely to seek help. Fixing the narcissist, or the damage s/he causes your loved ones or employees, is not your job, no matter what the narcissist tells you. Overcompensating for a narcissist’s behaviors is also not your job. Over-giving in direct response to the narcissists or to their effect on others —saying yes to invitations and requests your gut is telling you really want to say no to— takes a hazardous toll on you. When we overextend ourselves, we disserve ourselves and the people around us. By trying to make it all better, we disempower the narcissists as well as their loved ones and employees. We break the healthy equilibrium of the empowerment spectrum seesaw: we disempower them as we overempower ourselves. I’m here to give you the message I somehow missed the first four decades of my life. Stop postponing your wellbeing until after everything is “fixed”! Stop postponing your wellbeing until you are fully convinced you are worthy! It’s time to do less now so you can preserve some energy to do more in the long term. If you identify with what you’ve read so far, it’s high time to reset your expectations and those of others. You are not in charge of taking care of everything. In fact, you are somewhat powerless. Take a moment to let that sink in. The solution includes willingness to begin trusting that the Universe will make everything OK. That’s the hardest part for HyperCompetent, over-empowered, hyper-responsible people. Letting go requires a scary leap of faith, one I’ve learned is well worth taking. You don’t have to do it alone. I raise this topic of coping with narcissism for an important reason. I aim to inspire women to clear out their hyper-responsible expectations of themselves to make room for bringing about their larger visions. Please let this post be the harshest wake up call you need to exit the HyperCompetence hamster wheel. If you’re not on such a wheel, please support someone you love or work with to get off theirs. Are you coping with a narcissist in your immediate personal or professional circle? How has it affected you? What has it cost you? Please share in the comments below. I didn’t want to publicly comment on this post [with my name attached] (for fear that my mother would see it…) but I can absolutely relate. I’ve been going to therapy for the past year or so and one of the things that has come up is an issue related to my mother — I’ve learned that she’s narcissistic and it really has impacted a lot of things with me and my life — like the need to be an uber overachiever hoping that THAT will finally get her to say something positive to me or the need to find someone to love me because I never got the proper nurturing from her growing up. No matter what happens in my life – it somehow gets twisted to be about her. I’ve been working through things so that I'm a healthier me — instead of doing things out of feeling guilty / obligation, doing them because it's best for me. 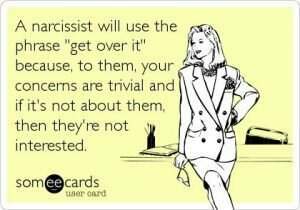 I don't know if you're aware but there seems to be issues related specifically to daughters of narcissistic mothers. My sister just read this book and gave it to me to read (http://www.amazon.com/Will-Ever-Good-Enough-Narcissistic/dp/1439129436?tag=httpwwwcon045-20) — she found it very insightful and helpful. Such a wise wise post – I always love reading what you write – great observations. ha ha – will Hong Kong time change to Boston time? I'm saying: 12p Eastern, 12a Hong Kong time. What – not convenient for you? You're actually going to sleep through it? Good for you!!!! Another great post…you are on a roll with illuminating an issue that both of us see in our coaching practices and in life. The orientation towards future-only is deadly, in my experience. It actually impedes a truly dreamed-of future happening. Thanks for being a trailblazer in bringing this stuff out in the open, and with so much vulnerability. Thank you, Geoff. You touched my heart with this comment.